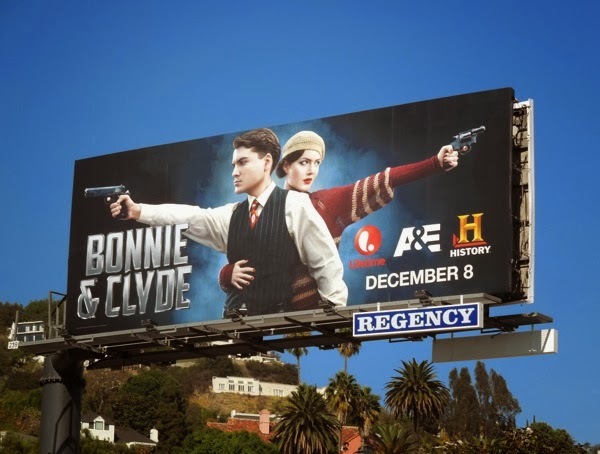 Do we really need another remake of the Bonnie & Clyde story you ask? 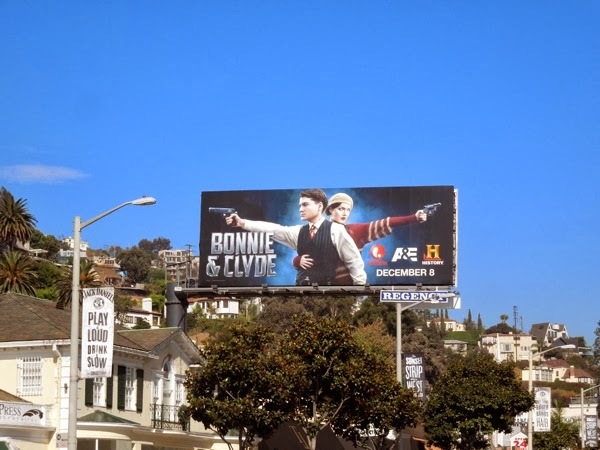 Apparently so, or at least Lifetime, A&E and the History Channel all agree. 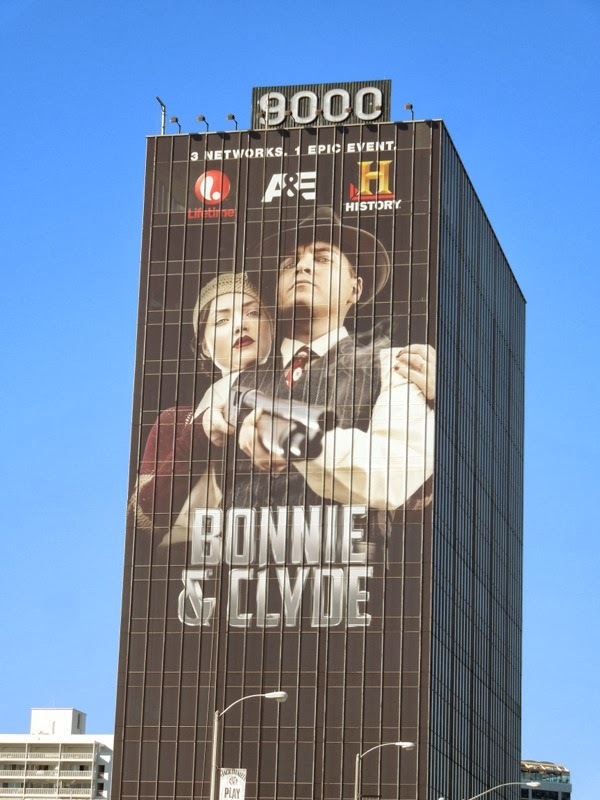 This new interpretation based on the true story of the Great Depression era outlaws, 'Bonnie Parker' and 'Clyde Barrow', will air over two nights, simultaneously being broadcast on all three channels. 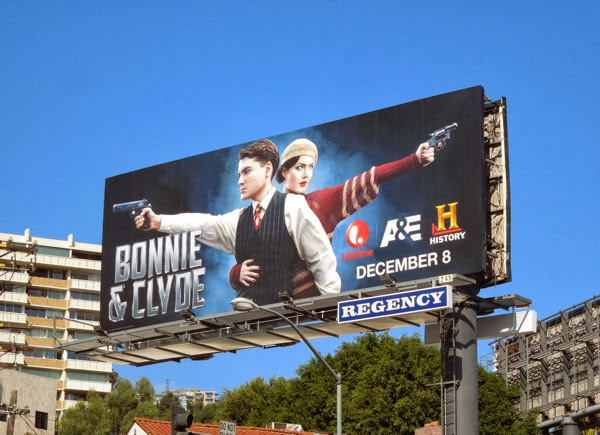 Holliday Grainger will play the small-town waitress swept off her feet by the charismatic small-time armed robber, played by Emile Hirsch, as they embark on one of the most infamous and violent bank-robbing crime sprees in history. 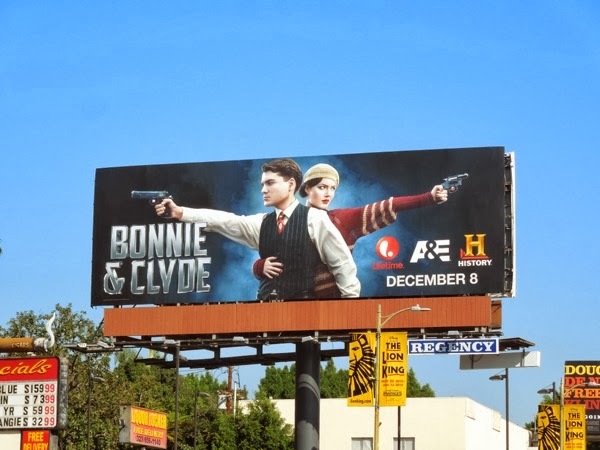 Taking over all the ad sites for all three channels, these simple and striking billboards for the Bonnie & Clyde remake seem to be everywhere around L.A., including these ads snapped along Sunset Boulevard on October 22, 2013. 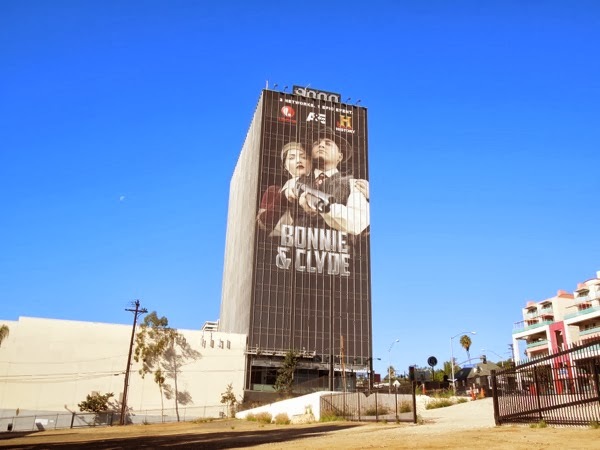 He may have held the gun and she called the shots, but this new criminal duo have mighty shoes to fill, following in the cinematic footsteps of Faye Dunaway and Warren Beatty in the Oscar-winning 1967 movie. 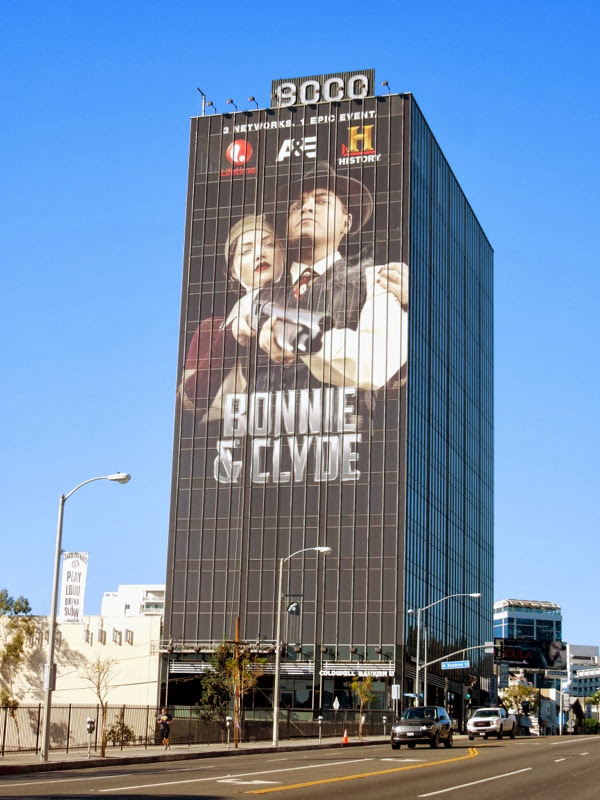 This may actually be the biggest heist of the century if they pull it off. UPDATED: Even though Bonnie & Clyde are dominating L.A.'s skyline this past month thanks to them using three networks ad sites, that's obviously not enough for this diabolical duo. 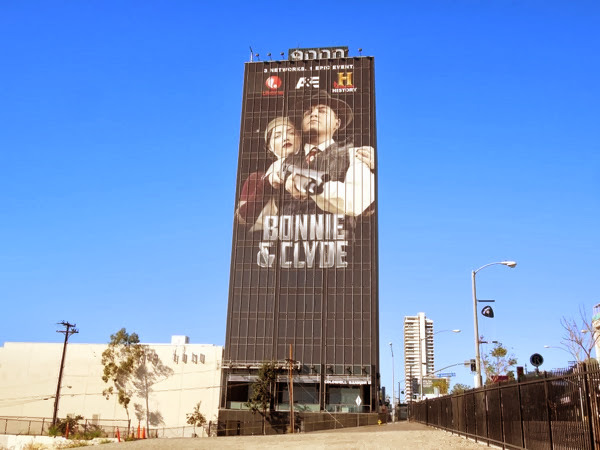 If you're driving westbound along Sunset Boulevard you'll find yourself staring down the barrel of shotgun on this giant billboard, snapped on November 24, 2013, for the new TV event towering over the busy commuter belt. 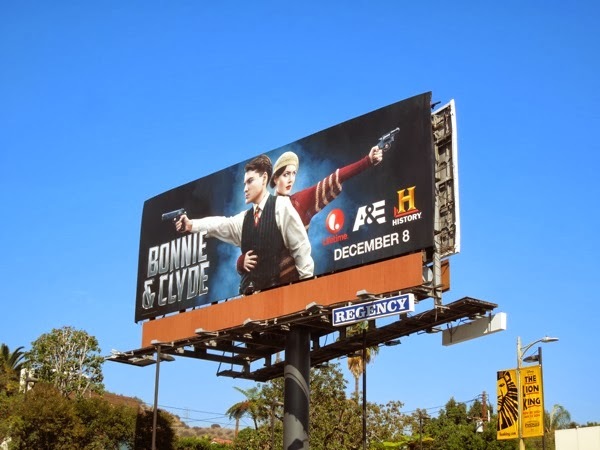 its gonna be good trust me. 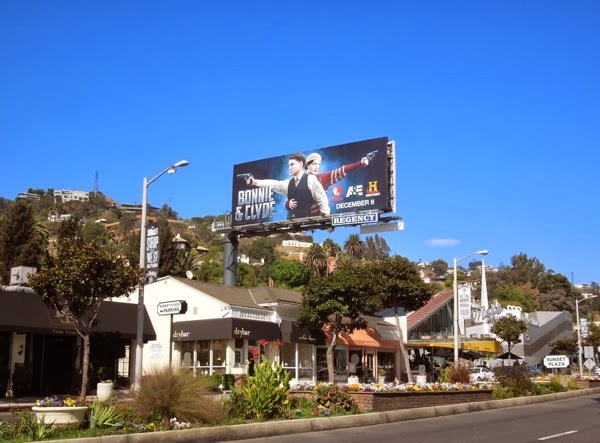 i worked on it.